At Clutch, we drive to you! We bring test drives to your door and also deliver purchased vehicles to you. We provide this service to all of the HRM, and up to a 100 km radius around. We find a lot of great places during all of these drives and we started documenting some of them that are just a quick day trip away. We thought we would share them with you just in time for the warmer months. Crystal Crescent Beach Provincial Park is situated in Sambro Creek. This beautiful park has three white sand crescent beaches to enjoy with boardwalks that provide interesting birding and wildlife viewing. This is a lovely spot to go if you're looking to quickly get out of the city. From downtown Halifax, it’s about a 45 minute drive and there is quite a bit of parking. We recommend you bring a light jacket to the beach as the wind often picks up. Crystal Crescent makes a great day trip because of the drive and a handful of local pizza spots that you can stop at for a bite on the way home. 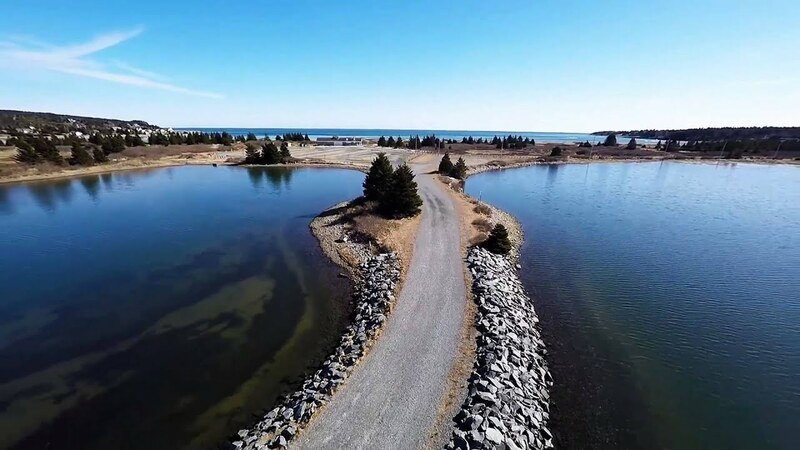 Situated in Eastern Passage, Nova Scotia, and just a 20 minute drive from downtown Halifax, Fisherman's Cove is a quaint, restored 200 year old fishing village. It offers visitors a peek into an East Coast history along with a variety of modern day activities for the whole family. Stroll the picturesque boardwalk and visit the many shops where you will find Maritime crafts, unique folk art, and souvenirs to bring home. If you're looking for a little break from the city without having to go far, Rainbow Haven is one of the easiest beaches to get to. It's just a half hour drive from the centre of Halifax and only 15 minutes from Dartmouth. This beach is known to be busy and great for hours of supervised swimming. There's tons of space on the beach for lounging or wandering. It has some pretty incredible views and has tons of areas to spread out for an evening picnic. Lawrencetown Beach has one of the most scenic and windy drives in Nova Scotia. It’s a provincial beach park 19 kilometres east of Dartmouth on Route 207 along the Eastern Shore. Once at the beach you can catch some surfing, windsurfing, and even build some extreme sandcastles. There are many areas where you can lay out, go swimming or have a picnic. You can also sign up for surfing lessons! The Clutch Team went there in January and it was still a very beautiful site. It’s where we got the footage for our Facebook page. This one will be a bit longer of a drive at one hour and 15 minutes from Halifax but it is definitely worth the day trip. Lunenburg is a historic Nova Scotian coastal community and is part of the UNESCO World Heritage Site. It’s mostly known for its colourful waterfront filled with galleries and shops. It has tons of great restaurants and you can spend the majority of your day at the Fisheries Museum of the Atlantic. Peggy’s Cove is a crowd favourite and located quite close to Halifax. It’s the perfect day trip to take a visiting relative, a picnic with the family or a romantic date. It’s about 20 minutes away from Halifax. The lighthouse built in 1915 is located in a small village where the locals are kind and welcoming. The lighthouse is a short hike from the parking spaces. The area has huge smooth rocks where you can walk, stand, sit, or just listen to the surrounding crashing sea. Cape Split Provincial Park Reserve is a natural environment park located in Scots Bay, Kings County. The park is considered a provincially significant coastal landmark overlooking the Bay of Fundy and is a popular hiking spot. We recommend you wear comfortable footwear. It takes about one hour and 15 minutes to get to the top. The end of the hike is very rewarding and you’ll love taking pictures and enjoying the view. Bring a snack with you to enjoy at the end of the hike. York Redoubt is a national historic site located just 25 minutes from downtown Halifax. A popular spot for hiking and exploring with many ruins and small caves to explore. Situated on a bluff at the mouth of the Halifax harbour. 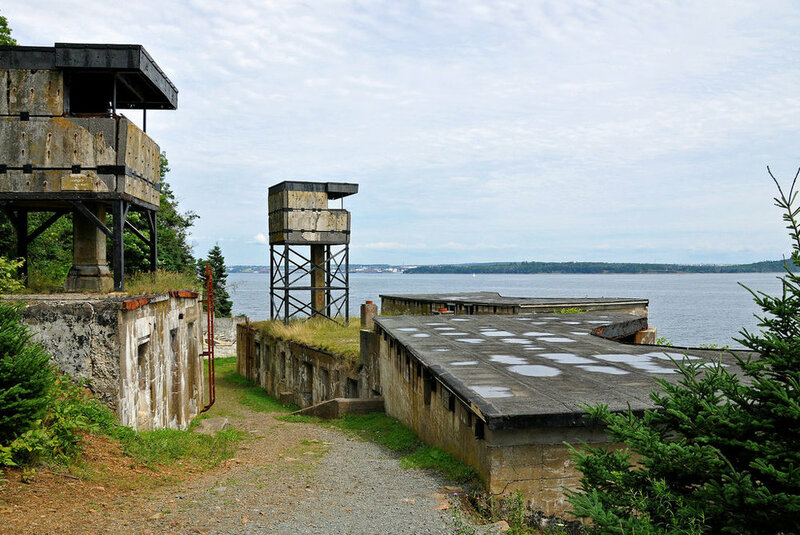 York Redoubt offers fantastic views for great pictures, along with the many exciting ruins to explore. This lesser known gem is perfect for a short day trip. This huge protected wilderness area is the perfect place for hiking, and camping. Located only 25 minutes outside of Halifax, Blue Mountain-Birch Cove Lakes Wilderness Area offers a number of different trails and locations for a day long adventure, or a shorter hike. If you've ever ventured to Duncan's Cove you know it's one of the best places in the HRM to take in the beauty of the Atlantic Ocean. Its raw and rugged coastline is fully exposed to the crashing surf, and watching the ebb and flow of the waves is a great way to unwind and enjoy the outdoors. Seabirds, seals, whales, and other marine animals are always on hand to catch your eye, and in the distance you'll see the scattered container ship en route to its next destination. If you're planning an outing to Duncan's Cove, it's best to wait for a warm, calm day as the cool wind off the ocean can make you chilly in a hurry. During the summer months the plant life along the coastline comes alive with vibrant greens and reds that contrast the sharp granite cliffs and unforgiven surf. Whether you decide to settle down for a picnic, go for a long hike, or pick blueberries from the endless bushes, Duncan's Cove should be a go-to destination for you this summer.